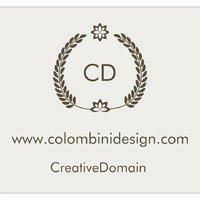 ColombiniDesign was created in 1996 by Sylvia Colombini. Based in Milan, it has three specialist divisions which interact to develop projects, from architectural and interior design to complete plants. In addition to a continual research in the development of specific know-how in the various disciplines, much has been invested in order to create technical coordination of projects and the integration of the various specialities within the work groups. Our approach is always multidisciplinary; even in the area of specific specialised services we work with structural engineers and plant engineers to fully understand the constructive logics and give maximum added value to our product. Over time we have developed our know-how evolving from the development planning to the proposed design, elaborating the idea from a conceptual phase through to the executive design. Our services are aimed at private customers – property developers, construction firms, and general contractors – and public clients – local authorities, agencies and municipally owned companies.